It's the active ingredient in the controversial weedkiller Roundup, which has been in the news after a recent lawsuit in the US. A jury found that it had caused terminal cancer in a former school groundskeeper who was heavily exposed to the herbicide. The manufacturer, Monsanto, was ordered to pay damages amounting to $289m. The legal battles are continuing. Glyphosate has been labelled a perfect herbicide. It's non-selective, killing all plants. And it's easily translocated in plants and is slow-acting and stable. Until the development of transgenic crops, glyphosate was used to get rid of weeds before planting. Now crops are genetically engineered to be resistant to glyphosate. "Roundup-ready" transgenic crops can be directly sprayed with glyphosate, which kills the weeds without damaging the crop. The crops are tolerant to the herbicide but the weeds are not. Naturally, the use of glyphosate increased dramatically around the world after the development of Roundup-ready crops. It seems that glyphosate may not be so innocuous after all. Studies are beginning to reveal deleterious effects of glyphosate on non-target species—animals. 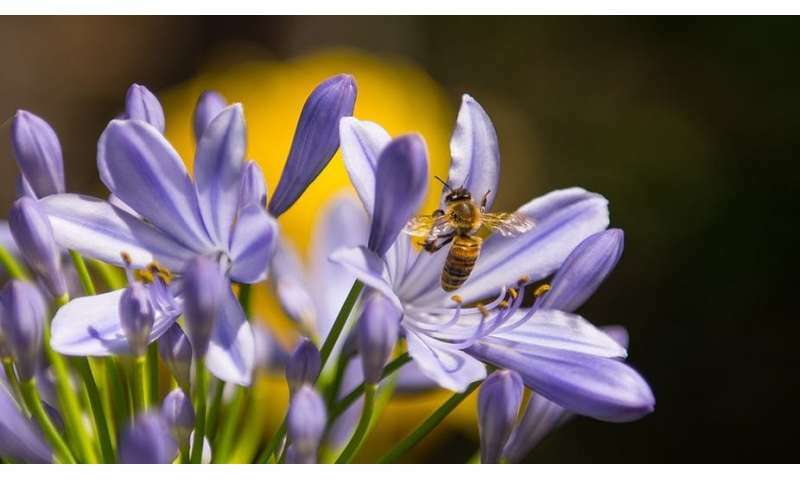 One of these species, whose pollinating activities are hugely important to biodiversity and to human food security, is the honey bee. This insect is the main pollinator in the agricultural environments in which glyphosate is so heavily used. Others have shown that glyphosate makes bees less sensitive to sugar and affects their learning ability. Experiments with free-flying bees, offered a choice between pure sugar water and sugar water containing glyphosate, have even shown a slight preference for the glyphosate solution. It's not surprising that glyphosate residues have been detected in honey samples and in pollen stored in the hive.